We weren’t disappointed on our return trip to the Carmans River. This just in from Ron Scall. 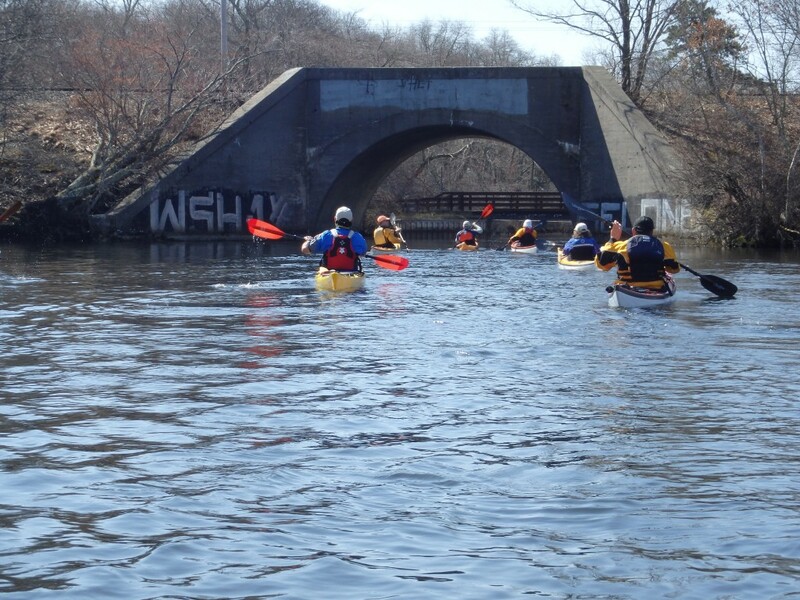 This past Saturday I had my first opportunity to go on a group paddle with NACK. Up until now my interaction with the group was limited to pool sessions. 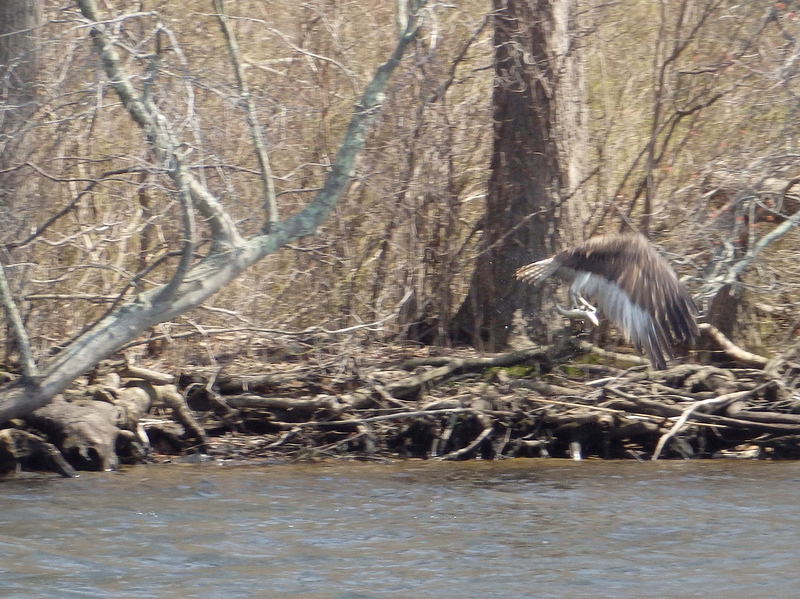 Nine of us, led by Debbie and Paul launched from Carmans River Canoe & Kayak shop and headed onto the river in search of two pairs of nesting Eagles. The weather was spectacular; mid 70’s and just enough of a breeze to allow our dry suits to be bearable. 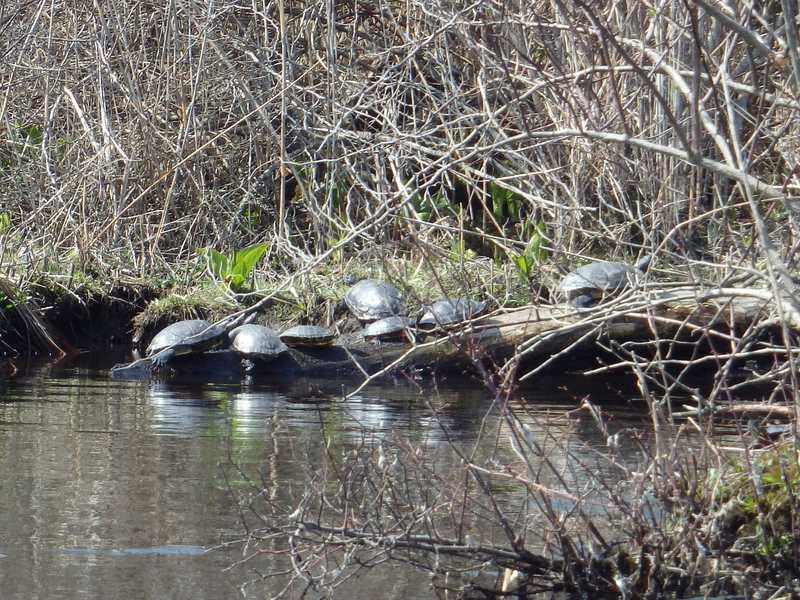 We were immediately treated to the sight of dozens of turtles sunbathing on exposed logs and branches. As we continued we were entertained by Ospreys flying overhead and then came the main event; the Eagle nest with its residents. 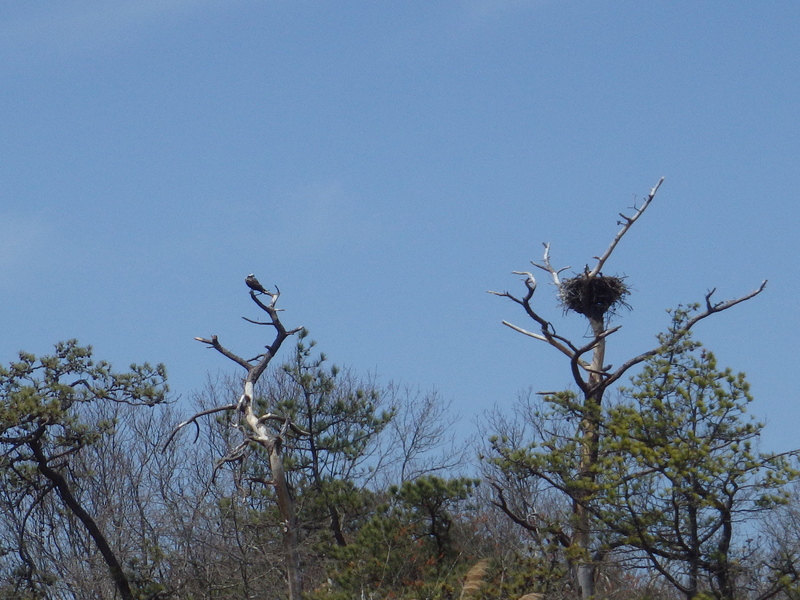 From a not too distant vantage point we were able to view the huge nest and the impressive birds. Then, as if on cue the Eagle soared from the nest and we were able to take in its beauty and majesty. It was quite a show and we were able to watch an encore performance on our return trip. We made a stop for lunch at the at the Wertheim Reserve before heading back to the launch site, but not before we were treated to the spectacle of watching an Osprey dive into the river with a huge splash and emerging with a fish. Many thanks to Paul for arranging all of the entertainment from the Eagles & Ospreys. All in all this was a nice way to open up the paddling season with a great bunch of people. Here’s a link to some additional pictures. Great job Ron, and great trip. Thanks for sharing.